What patients value in a healthcare institution is the amount of privacy it provides them. Our room dividing solutions are ideal for patients who wish to have some alone time to relax and rehabilitate. 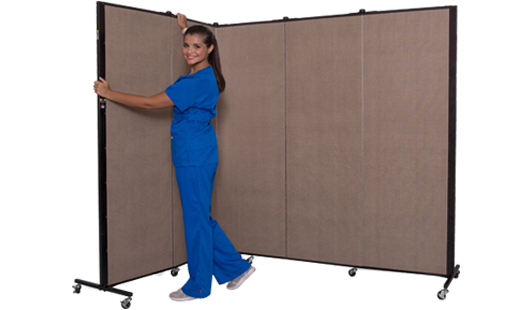 Screenflex room dividers come with unmatched noise reduction properties, so you can easily set up a calming environment for any of the patients. In fact, they can absorb up to 65% of the ambient noise. 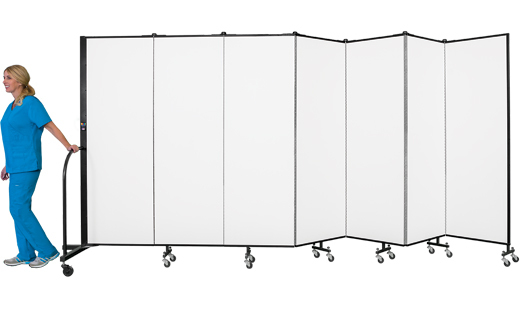 Our portable partitions are also characterised by unmatched quality – assembled out of only the highest quality parts and materials, you can count on Screenflex solutions to serve you effectively for years to come. Finally, it is important to note that our room dividers comply with all HIPAA’s privacy guidelines. Check out the photographs from other healthcare institutions that already had the chance to enjoy the versatility of the Screenflex portable partitions. How can Screenflex room dividers help healthcare market?